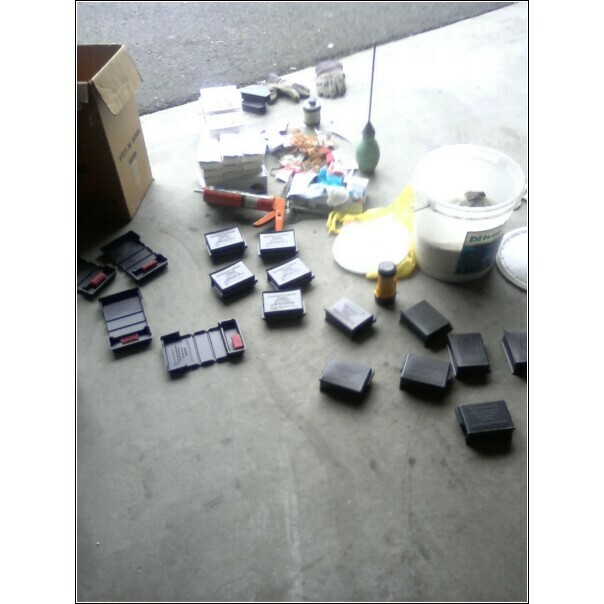 Drill and Inject any necessary subslab porches, garages, sidewalks, retaining slopes, slabs in basement and crawlspace where necessary, french drains, Drill foundation block where applicable for targeted injection zones. Seal and Patch Holes with Masonary vinyl material. Make sure that there is not an abandoned oil tank in the ground, particularly if you're buying an older house. An abandoned oil tank that still has oil in it will someday leak causing an environmental problem. The average cost of an oil tank contamination cleanup in New Jersey is twenty five thousand and up. The only way that one can be sure that there is not an abandoned tank is to have a tank search made with a special metal detector. 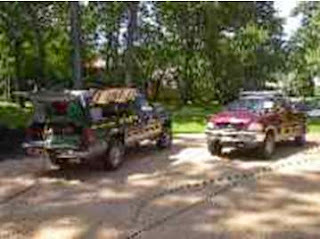 The cost of the search is about two hundred to two hundred and fifty dollars. However, before you pay for the cost of a search, there are a few things you can do to investigate the matter at no cost. IN-GROUND WORKING TANK - If the heating system has an in- ground working tank, have it checked for leaks. One of the big mistakes people make with an in-ground working tank is to not have it checked. Often, the owner has tank insurance and the insurance can be passed to the next owner. That all sounds great but does the insurance cover ground contamination? Many or should I say most oil tank insurance policies only cover the cost of the tank replacement and not ground contamination. If you're getting a insurance policy for the tank, have your attorney check the policy for both removal and contamination clean up. PERMITS - When buying a house, a permit search should be conducted, particularly if the house has been remodeled or updated. The following are areas that would require permits in most municipalities: a new addition, a new bathroom, a new or remodeled kitchen, a finished attic or basement, a new heating system, a new central air system, an update of the plumbing or electrical system, or any other type of repair or update. To purchase a house where major work has been done without permits could cause the buyer some serious problems later when selling or remodeling. PLUMBING PROBLEM - Dunellen, New Jersey: A retired lady decided to sell her house and move to another state where she had children living. The realtor found a good buyer and everything was going along smoothly until the township inspector arrived for the certificate of occupancy inspection. The inspector found all new plumbing had been installed without a permit. To obtain a C of O the woman would have to take out a plumbing permit and have a licensed plumber certify the plumbing. It seems that the plumbing nightmare began when her brother , a licensed plumber, did the complete job without a permit and passed away without ever getting the permit. The woman did get a plumber to certify someone else's work; a task which was very expensive and not easy. Needless to say, the hold up for the C of O affected the mortgage rate, the commitment, the attorney's closing date, and the movers moving date. To be sure that the bargain price on a vacant house is really a bargain, we have two recommendations: First, get a good home inspection, and second, get exact repair cost of any repairs that the inspector recommends. In other words, don't guess at repairs for which there could be hidden costs. b. Is it an estate sale? Most times the house can't be sold till the estate is settled. 1. Don't panic and lose a good house because it has termites. As mentioned earlier, usually the termite damage can be repaired and with the modern termite treatment termites are easy to eliminate. 2. Check with your mortgage company and find out if you need a clear termite certification to obtain a mortgage particularly if you are buying a condo. Most condo associations will repair any termite damage, but will not give a clear termite certification required by the mortgage company. The catch 22 is that you may find yourself in a situation where you're buying a condo located on the second floor where you know there are no termites, yet the mortgage company wants a clear termite certification. If you find yourself in this position, hire a termite inspector and get the clear termite certificate. 3. 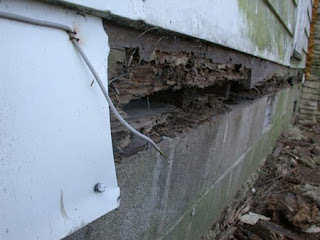 Always have a house inspected for termites and always hire your own termite inspector. 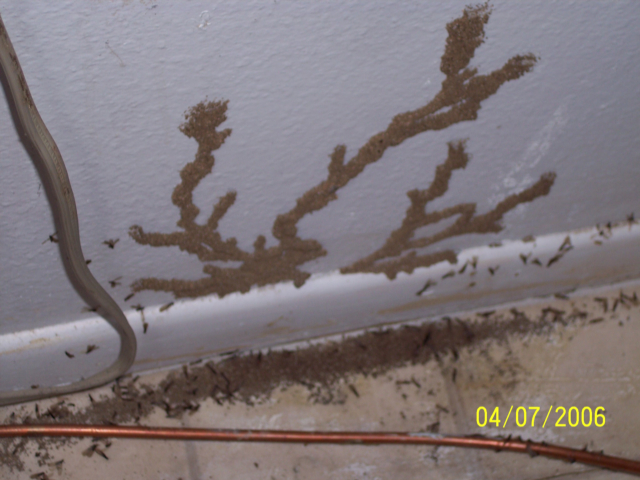 The seller may have a termite treatment contract and insurance policy but that doesn't mean there is no damage. It is not uncommon for a dwelling to have termite damage that has not been repaired even though there is a treatment contract and insurance policy. We also suggest that you, the buyer, read the disclosure statement to see if any termite repair work was done, and, if so, how extensive was the repair. RADON - First of all, I recommend that you don't terminate the purchase of a good house over a high radon reading. Simply defined, radon gas is a natural form of radioactive gas, which is developed by the decay of granite rock and certain soils. As per the EPA, if the radon level in the home is equal to or greater than 4 pCi/L (picocuries per liter) it is dangerous to your health. The radon test is conducted in the lowest living level of the house and the basement is considered a living level. Years ago, when radon was first discovered, the installation of a radon venting system was very expensive, and a house with high radon was hard to sell. Today the cost of a radon venting system is very reasonable and appears to have little or no effect on the resale value of a house. In other words, don't let a high radon level stop you from buying a house, but you would certainly want the seller to pay for the venting system. The exact price of a radon venting system, (mitigation system) varies according to the size of the house and whether or not the house has a sump pump or French drain. However, to give the reader an idea of price, the average cost is between fifteen hundred ($1500) and two thousand ($2000) dollars. 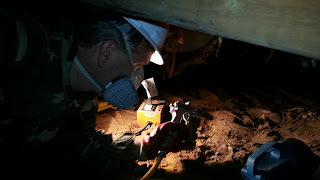 All this can be summarized by saying that once a proper venting system is installed in a house with high level of radon, that's the end of the radon problem. SELLER'S DISCLOSURE STATEMENT - Most realtor today require a disclosure statement from the seller. The purpose of the disclosure statement is to have the seller disclose any problems that are not readily observable, or any serious problems that have been repaired. A smart buyer will obtain a copy of the disclosure statement and study it in detail before spending one cent for inspections. There may have been repairs or a present condition that you, the buyer, may not want to deal with after the purchase. Everything is fixable, but for some buyers any type of repair is too much fixing. 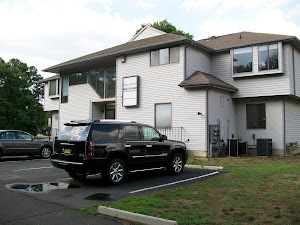 The standard New Jersey realtor disclosure statement is very detailed and informative. Click on the following web site for an example of the New Jersey realtor association disclosure statement. EIFS SIDING - If the house you are buying has EIFS (Exterior Insulation Finish Systems) siding, it must be inspected by a EIFS specialist and the inspection is expensive. This type of siding has a history of water penetration which results in wood rot and mold problems. When water penetrates this type of siding, the foam insulation behind the siding act like a sponge that traps and retains water and moisture which causes wood rot and mold problems. 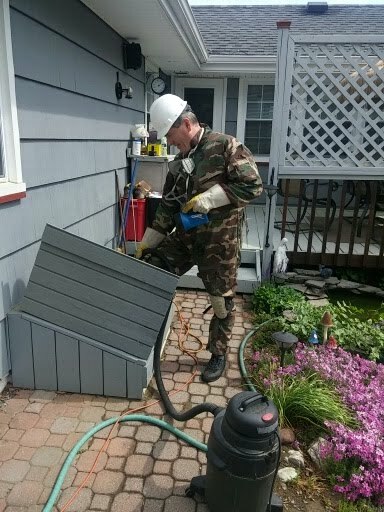 EIFS siding has such a poor reputation for causing serious wood rot and mold damage, that it is not unheard of for a seller to remove the EIFS siding and replace it with a standard type siding to sell the house. One more word of caution, do not accept a price reduction to replace the EIFS siding without knowing the exact condition of the structure behind the siding. The last thing you need as the new owner is to find out that the repair cost of any wood rot and or mold damage is ten times the price allowance. To find out more about EIFS siding, click the Christian Building Inspectors of Georgia site address below. They have a great site for EIFS information. 2. How old is the tank and field. A field that is over twenty years old might have been abused. You could need a replacement. To quote Ted Louden's article from the Michigan State University Agricultural Engineering newspaper. "Studies that just look at averages without regard to quality of construction or how the system is utilized show that the average life of a septic system is 20 years or more. This is the time period until the system becomes sufficiently clogged with organic material that it either results in effluent coming to the soil surface or backing up in the plumbing and reducing the efficiency of flow from the home. Well constructed, well maintained systems will last longer." 4. One last tip on inspections, I don't recommend that you do all your inspections on the same day all at once. Do the inspections one at a time. A full home and termite inspection may also call for a pool inspection, septic inspection, in-ground tank inspection, and others. If one of the inspections reveals a serious problem and you decide not to go ahead with the purchase, you have not yet paid for the additional inspections. 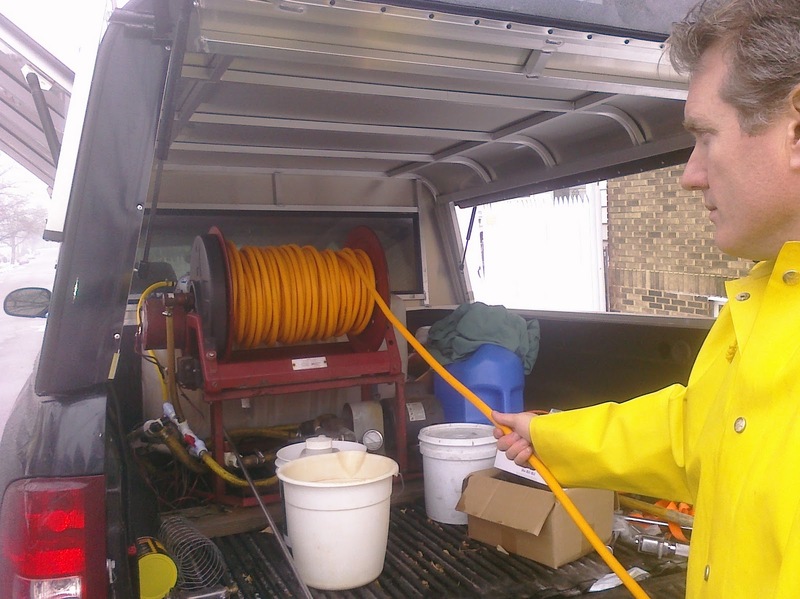 WELL WATER - Well water testing in New Jersey is regulated by the Environmental Protection Agency (EPA). In September, 2002, the Private Well Testing Act was instituted. To quote a small important section of the act, "Every contract of sale of real property the potable water supply for which there is a private well located on the property shall include a provision requiring, as a condition of sale, the testing of the water." In other words, every time a house with a well is sold, the well must be tested by a licensed EPA approved testing laboratory and the well must be tested for all the parameters outlined by the EPA. Normally the seller of the property pays for the well testing and provides the necessary documents for the sale of the property. I personally think this is a very good law that has saved many a family from health problems from a contaminated well. House mice usually run, walk, or stand on all fours, but when eating, fighting, or orienting themselves, they rear up on their hind legs with additional support from the tail - a behaviour known as "tripoding". Mice are good jumpers, climbers, and swimmers, and are generally considered to be thigmotactic, i.e. usually attempts to maintain contact with vertical surfaces. Mice are mostly crepuscular or nocturnal; they are averse to bright lights. The average sleep time of a captive house mouse is reported to be 12.5 hours per day. They live in a wide variety of hidden places near food sources, and construct nests from various soft materials. Mice are territorial, and one dominant male usually lives together with several females and young. Dominant males respect each other's territories and normally enter another's territory only if it is vacant. If two or more males are housed together in a cage, they often become aggressive unless they have been raised together from birth. Like ants and some bees and wasps, which are in a separate order, Hymenoptera, termites divide labour among castes that consist of sterile male and female "workers" and "soldiers". 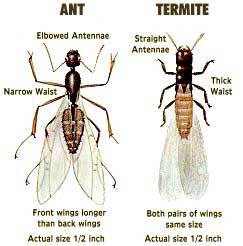 All termite colonies have fertile males called "kings" and one or more fertile females called "queens". Termites mostly feed on dead plant material and cellulose, generally in the form of wood, leaf litter, soil, or animal dung. Termites are major detritivores, particularly in the subtropical andtropical regions, and their recycling of wood and plant matter is of considerable ecological importance. The infraorder name is derived from the Greek words iso (equal) and ptera (winged), which refers to the nearly equal size of the fore-wings and hind-wings. The name "termite" derives from theLatin and Late Latin word termes ("woodworm, white ant"), altered by the influence of Latin terere("to rub, wear, erode") from the earlier word tarmes. Termite nests were commonly known asterminarium or termitaria. In early English, termites were known as wood ants or white ants.The modern term was first used in 1781. Although termites are sometimes called "white ants", they are actually not ants. Ants belong to the family Formicidae within the order Hymenoptera. The similarity of their social structure to that of termites is attributed to convergent evolution. 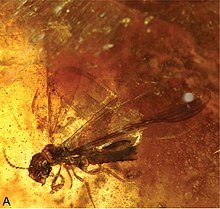 The oldest termite nest discovered is believed to be from the Upper Cretaceous in west Texas, where the oldest known faecal pellets were also discovered. 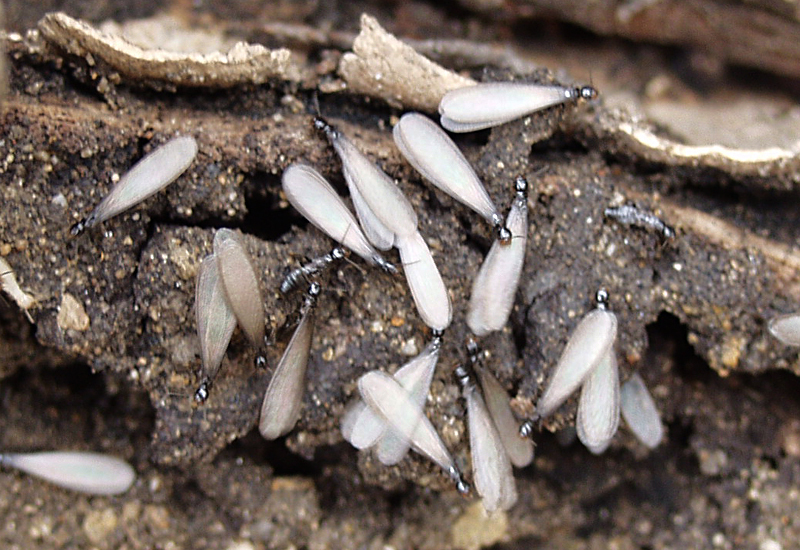 Termites are an order of social insects, the Isoptera. They are sometimes called "white ants", incorrectly, because ants belong to the Order Hymenoptera. Adult bed bugs are light brown to reddish-brown, flattened, oval-shaped, and have no hind wings. The front wings are vestigial and reduced to pad-like structures. Bed bugs have segmented abdomens with microscopic hairs that give them a banded appearance. Adults grow to 4--5 mm (0.16--0.20 in) long and 1.5--3 mm (0.059--0.118 in) wide. Bed bugs can survive a wide range of temperatures and atmospheric compositions. Below 16.1 °C (61.0 °F), adults enter semi hibernation and can survive longer; they can survive for at least five days at −10 °C (14 °F), but die after 15 minutes of exposure to −32 °C (−26 °F). Common commercial and residential freezers reach temperatures low enough to kill most life stages of bed bug, with 95% mortality after 3 days at −12 °C (10 °F). They show high desiccation tolerance, surviving low humidity and a 35--40 °C range even with loss of one-third of body weight; earlier life stages are more susceptible to drying out than later ones. 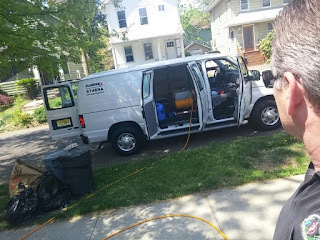 I am glad to have picked Eliminex to treat our apartment building in Central New Jersey for bed bugs this past summer and the follow up monitoring services for just the few problem tenants we have left made our desperate situation very much manageable including a whole lot of happy renters. 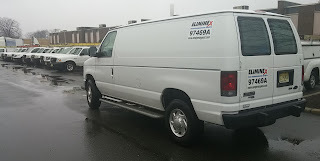 Thank you for always being available for any needed follow ups and we are definitely recommending you out. Very quick response to my emergency need for rodent and pest control to meet my strict guidelines that were presented to me by my new client. Extremely professional presentation, inspection, and service. Everything was perfect and now in order. I hope we do business for a long time to come. Eliminex are Very experienced professionals when it comes to getting rid of my squirrel problem. I had a local big named company that came out a couple years before just to have squirrels come right back and I would have to pay all over again. Eliminex came out and only proposed that they pay for 1 week worth of live / humane trapping-relocation and provide a free thorough exterior examination to see if any exclusion repairs need to be made. Eliminex found 2 entry points one at the corner by the gutter and the other from a damaged screen on the attic vent. Eliminex only charged one weeks fee and caught 10 squirrels and didn't charge me per animal like the other company did. Eliminex also made the repairs for an affordable price and it has been 5 months now which is the peak of squirrel activity and I haven't heard a squirrel in my house yet. Thank you. I called several other companies after identification came proof positive I had an actual BED-BUG infestation in my 4 bedroom home. 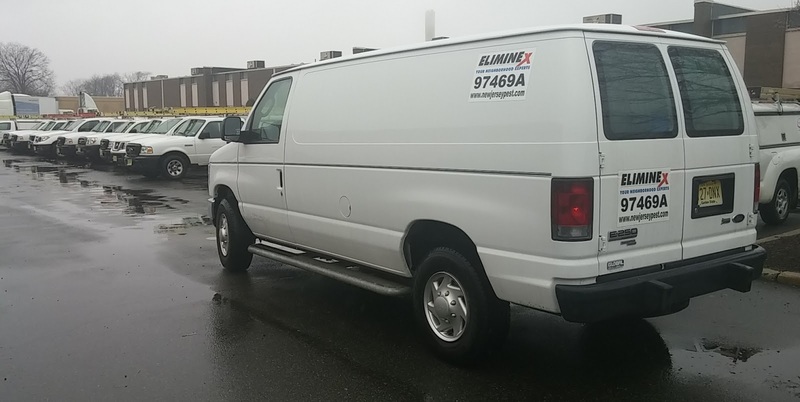 Not only Eliminex was the quickest to come out for a thorough inspection, but also was one of the least expensive with several offers of discount retreatments if I ever had to do a follow-up. I was so impressed with the attention to detail and the knowledge the master technician possessed about these disgusting bed bug pests. He methodically treated my entire home all the mattresses and boxsprings and living room furniture including all the cracks and crevices around windows and baseboards where I was told they can run and hide during and after treatment. Thanks to this incredible professional, I saved $1000s by not having to throw away my new sleeper sofa and King Size Mattress that I just purchased a few months ago. Its been 45 days since the Initial Service and I am so pleased. Highly Recommended Eliminex to all my friends. This company definitely deserves referrals. Pest Control NJ service areas by county include Pest Control Monmouth County, Pest Control Ocean County, Pest Control Middlesex County, Pest Control Bergen County, Pest Control Morris County, Pest Control Mercer County, Pest Control Somerset County, Pest Control Union County, Pest Control Burlington County, Pest Control Sussex County, Pest Control East Brunswick NJ and can be found by searching for Exterminators NJ or Exterminator NJ. 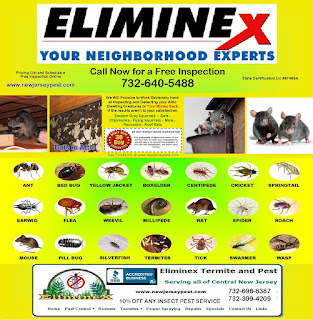 Eliminex Termite and Pest Control NJ Service Areas By Towns Include Pest Control Edison NJ, Pest Control Highland Park NJ, Pest Control East Brunswick NJ, Pest Control New Brunswick NJ, Pest Control Old Bridge NJ, Pest Control Plainsboro NJ, Pest Control Perth Amboy NJ, Pest Control Metuchen NJ, Pest Control Cranford NJ, Pest Control Westfield NJ, Pest Control Summit NJ, Pest Control Elizabeth NJ, Pest Control Rahway NJ, Pest Control Union NJ, Pest Control Clark NJ, Pest Control Scotch Plains NJ, Pest Control Springfield NJ, Pest Control Mountainside NJ, Pest Control Roselle Park NJ, Pest Control Middletown NJ, Pest Control Red Bank NJ, Pest Control Hazlet NJ, Pest Control Montclair NJ, Pest Control Verona NJ, Pest Control Metuchen NJ, Pest Control Livingston NJ, Pest Control Maplewood NJ, Pest Control Short Hills NJ, Pest Control Fairfield NJ, Pest Control Bedminster NJ, Pest Control Bridgewater NJ, Pest Control Bernardsville NJ, Pest Control Franklin NJ, Pest Control Green Brook NJ, Pest Control Hillsborough NJ, Pest Control Watchung NJ, Pest Control Matawan, Pest Control Warren NJ, Pest Control Somerville NJ, Pest Control Morristown NJ, Pest Control South Brunswick NJ, Pest Control Kendall Park NJ, Pest Control Dayton NJ, Pest Control South Plainfield NJ, Pest Control Howell NJ, Pest Control Chatham NJ, Pest Control Linden NJ, Pest Control Madison NJ, Pest Control East Windsor NJ, Pest Control Morris Plains NJ, Pest Control Randolph NJ, Pest Control Hanover Township NJ, Pest Control Branchburg NJ, Pest Control Bound Brook NJ, Pest Control Livingston NJ, Pest Control North Brunswick NJ, Pest Contol East Windsor NJ, Pest Control Keyport NJ, Pest Control Hightstown NJ, Pest Control Keansburg NJ, Pest Control Bloomfield NJ. 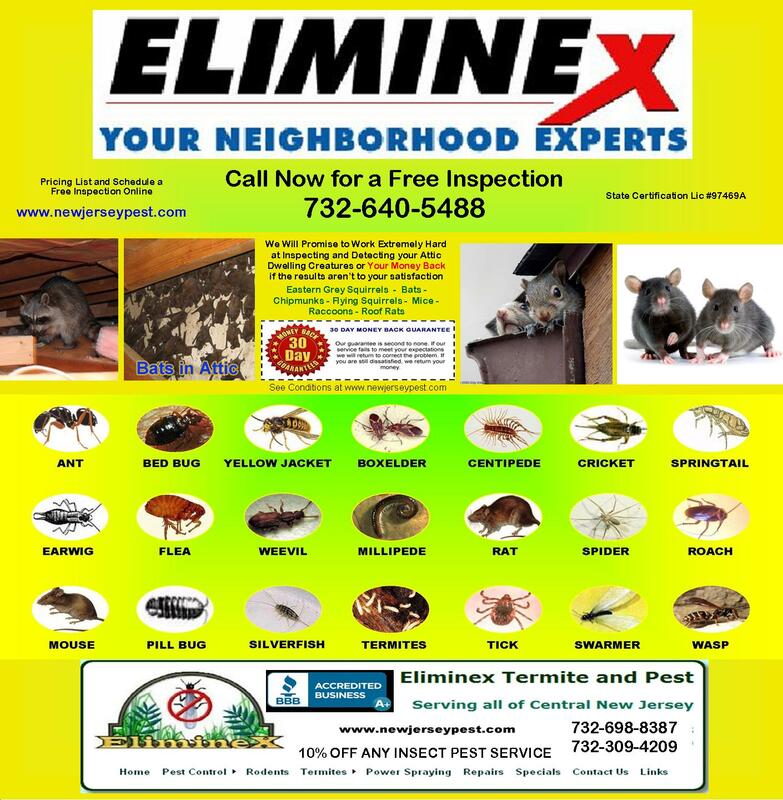 1995-2015 Eliminex Termite and Pest LLC 776 Jernee Mill Road Sayreville, NJ 08872. Simple template. Powered by Blogger.